Cookies | drive-thrus are for lazy people. drive-thrus are for lazy people. Living my healthiest and most holistic life, without a drive-thru ! I’ve got two things for you today. Two REALLY awesome things! Yes it’s true that VEGAN does not always equate to HEALTHY. So health nuts beware… However; this recipe is fabulous if you want to do some baking with ingredients that you probably already have in your pantry. These cookies were soft, gooey, sweet and impossibly delicious! 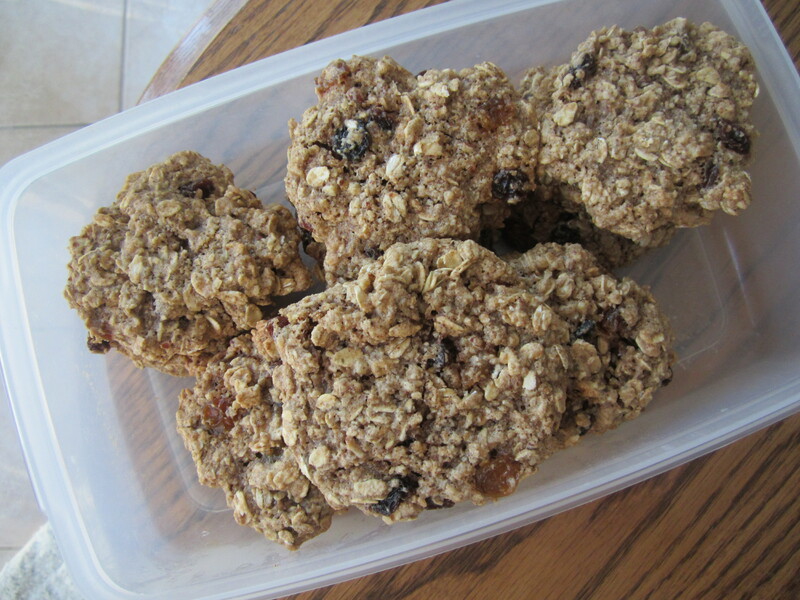 You could add in various nuts, or substitute the raisins for dried cranberries/chocolate chips if you so desired! 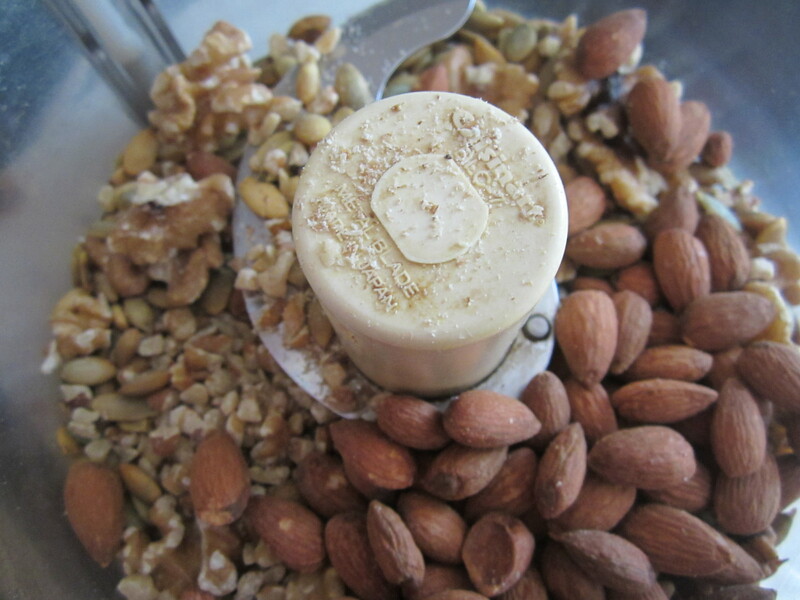 Instead of only using walnuts like the original recipe did, I threw in almonds as well. Add the wet mix to the food processor as well, mix until everything is combined! 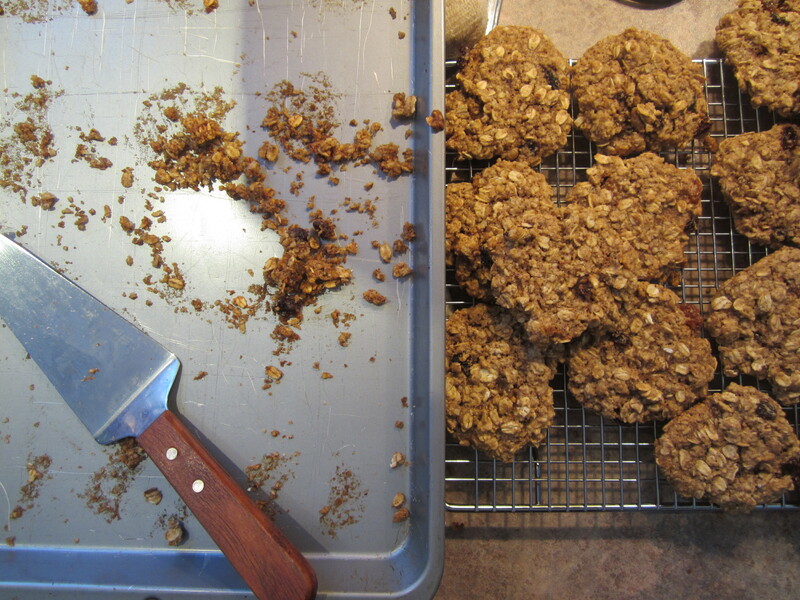 Let the cookies sit for 2 minutes, transfer to a wire cooling rack – and VOILA! ENJOY with a warm cup of tea or coffee, and you’re happy! After you indulge in too many of these cookies, you’re going to want to try this super sweaty workout. 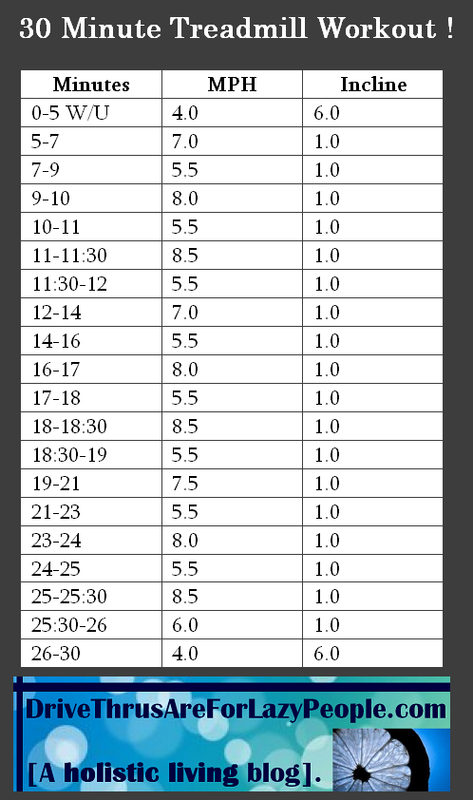 It’s interval-based, so there’s varying periods of high-intensity sprints alternated with some light jogging. The 30 minutes FLEW by for me, and I hope that happens to you as well! It’s a great workout to beat the gym-blues when you get bored with your usual workouts. Try these out! Both the recipe and workout! Leave me a comment below and let me know what you think. Categories: no category. | Tags: Cookies, gym, motivation, nutrition, recipe, treadmill, vegan, workout | Permalink. And with him, he brought mass amounts of Starbucks Baked Goods. Naturally, I indulged in a few of these tasty absolutely delicious treats. The average 20 something year old girl will probably need about 1500 calories a day if she’s moderately active. A single piece of this reduced-fat coffee cake has almost one third of her daily intake of calories! Sure, calories aren’t everything (nutritional content of food is also very important), but these baked goods should be eaten in SERIOUS moderation! A single cake-pop is probably your best option for having a Starbucks treat. The lesson here: don’t be deceived by the names of these desserts. 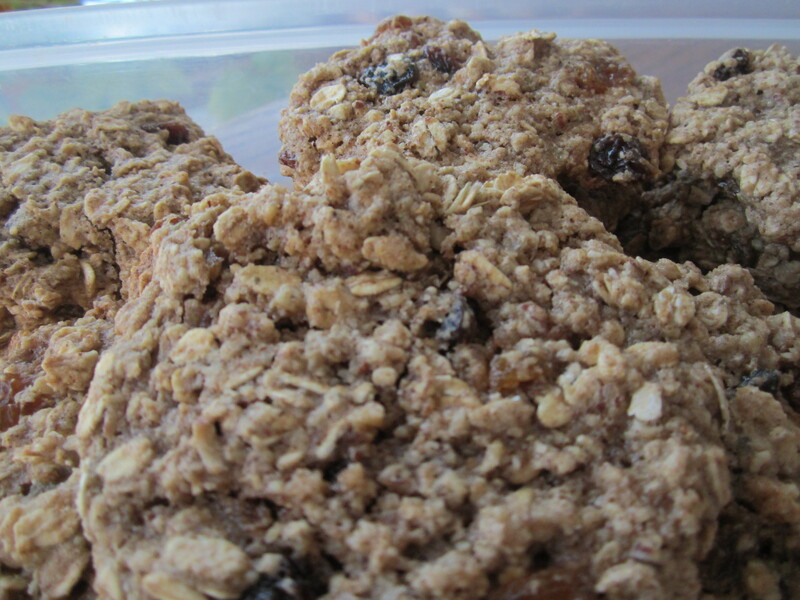 Just because there are oats in the oat-bar…. doesn’t mean it can be considered a healthy breakfast! I won’t even bother digging into the nutritional info for their drinks (at least not until after the holiday season). After all, ’tis the season for indulging ! Categories: indulgent recipes. | Tags: cookie, Cookies, santa, Starbucks | Permalink. I'm Kelsey - and this is where I come to share with you my insights and inspirations towards living a happier, healthier and more holistic life ! if you like drive-thru's are for lazy people, click to follow it and receive notifications of new posts by email. click and get your daily deliveries! Drive-thru's are for lazy people; it's not just my blog domain, it's a way of life.... We've become so consumed in such a crazy life that leaves many people with no time to even step outside of our cars to grab food and drinks, it's quite sad. That being said, it's not just about using a drive-thru - it's the sum of all of these poor decisions that leads people to live a poor quality of life resulting in, you guessed it, poor health. I hope to change the way that people approach their lives, in order to live more holistically and embrace the small changes that YOU can make! current trends in health + wellness.